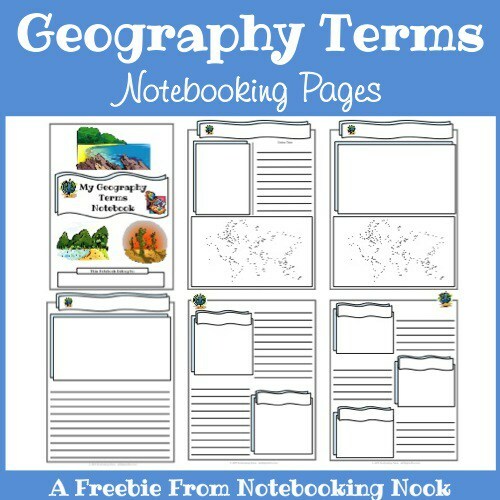 Here are FREE Geography Notebooking Pages. There are two sets of Geography Terms Notebooking Pages. Each set has a cover page and 6 notebooking pages to choose from. One file has basic lines and the other primary.